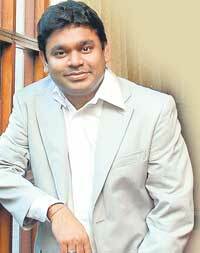 The maestro, AR Rahman has decided to take a break in 2011. As we usher in the new year Rahman has broke the news that he will not be composing film music in 2011. Noted singer Chinmayi had tweeted: "Though not something to look forward to, Rahman sir, is reportedly taking a break in 2011. Good for his family who'll finally get time with him." In an interview to a newspaper, Rahman says: "I'am taking a break. I am finishing a movie called Rock Star (Ranbir Kapoor starrer directed by Imtiaz Ali, releasing on May 27). For once I will be free. Meanwhile AR Rahman Foundation Calendar which was launched last week has turned out to be a runaway super hit. Great ! I don't have to go to the theatres in 2011 as i have my SPM !